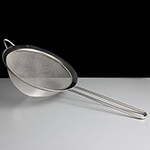 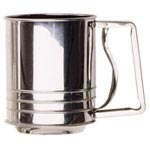 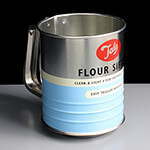 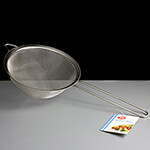 A range of stainless steel sieves and flour sifters in a selection of different sizes and designs. 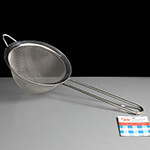 Each of the sieves are useful for sifting flour or icing sugar and making baking better and also the largest sieves for generally using around the kitchen eg vegetables and water if a colander. 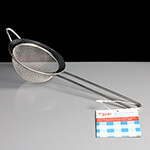 The smallest can also be used for tea leaves.